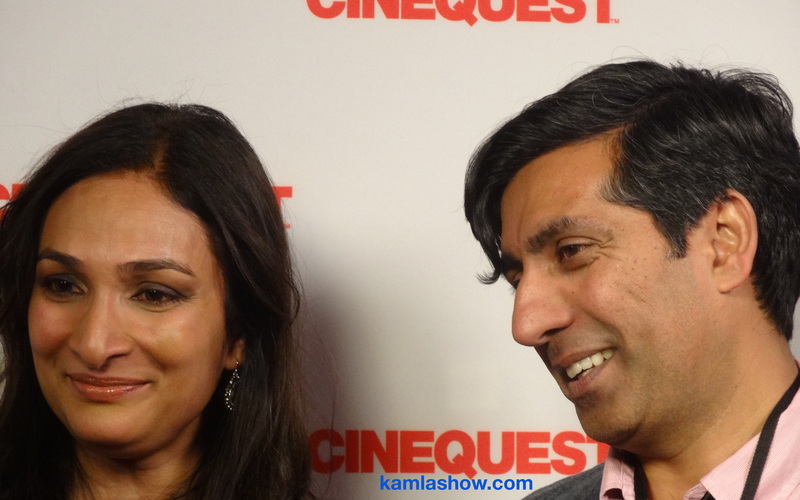 Two Indian-American films had their world premiere at Silicon Valley’s Cinequest Film Festival (Feb 24-Mar 8, 2015) this weekend – “Miss India America,” and “For Here or To Go?” The films are made by Indian-American filmmakers from California. “Miss India America,” is set in Southern California, while “For Here or To Go?” is set in Silicon Valley and is about the techie community in the valley. Both films got a standing ovation from the audience. It is apt that the films had their premiere at this festival since San Francisco bay area is home to over quarter million Indian-Americans. Interestingly, both films raised part of their funding through crowdsourcing platforms. “Miss India America,” used Kickstarter to crowdsource their fund, while “For Here or To Go,” went the Indiegogo route. The films show two sides of the desi coin. It is not often that you get to see two different sides of the Indian-American community in the USA at a film festival. If “Miss India America,” spotlights the second generation Indian-Americans and how they assimilate and deal with their teenage angst then “For Here or To Go?” concentrates on the experience of new immigrants in America. The film shows the other side of the equation and what it takes to get that coveted green card, which puts you on a path to become an American citizen and owning that home with a white picket fence. The path to realizing your American dream is fraught with all sorts of unexpected challenges is what the film hightlighs. LA-based filmmakers Meera Simhan and Ravi Kapoor’s “Miss India America,” centers around a group of young Indian-Americans and their competitive spirit to succeed at any cost. Lily Prasad (Tiya Sircar) is a self-assured and competitive high school student, who is headed to Harvard. She has her whole life figured out in her “Lily Plan.” The plan is not just for her but also for poor, unsuspecting boy friend’s life. But then things go wrong and to win back her boy friend she decides to enter a beauty pageant. What we see next is the the lengths to which Lily will go to win the Miss India America crown. The film stars Tiya Sirca, Hannah Simone, Meera Simhan, Kosha Patel, Satya Bhabha, Cas Anvar, Anushka Rani and Anjali Bhimani. Kapoor directed the film. Silicon Valley-based filmmakers Rucha Humnabadkar and Rishi Bhilawadikar’s film “For Here or To Go?” captures the angst and uncertainties of the new immigrants, who come to the USA on H1B Visa or work visa. Vivek Pandit (Ali Fazal) works for a tech company and is on H1B visa. His real passion however is to do a startup, but his visa status precludes him from realizing his startup dream. The film highlights the temporary and unstable nature of H1B workers and the challenges they face in navigating the immigration system in America. Not every immigrant on H1B visa gets the coveted green card and becomes an American citizen. Both Humnabadkar and Bhilawadikar are techies, who work in Silicon Valley. The film stars Ali Fazal, Melanie Kannakoda, Omi Vaidya, Samrat Chakrabarti, Rajit Kapur, Amitosh Nagpal, Richa Shukla and Keith Stevenson. In case you missed the premiere of both these films, you can still watch “Miss India America“ and “For Here or To Go? at Cinequest. Related Link: My video interviews with Omi Vaidya, who acts in “For Here or To Go?” and Kathleen Powell, co-founder and President of Cinequest. Photo credits: Miss India America and For Here or To Go?